MicroRNAs (miRNAs) are small noncoding RNAs of 22–25 nucleotides that control gene expression at the posttranscriptional level through the degradation of mRNAs or translational repression. In the last 15 years, the study of these small molecules helped elucidate their role in the regulation of many cellular processes and the onset and development of several diseases. Therefore, many computational tools based on algorithms for target prediction have been developed to identify potential miRNA–target interactions. The improvement of experimental approaches to more easily and quickly confirm in silico predictions has become essential for the study of these small RNAs and their molecular functions. 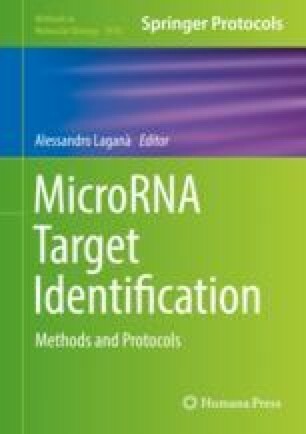 In this chapter, we summarized the principal steps of one of the most used techniques for the validation of microRNA targets, the Luciferase assay, thus explaining the underlying principles and the procedures to apply it best.